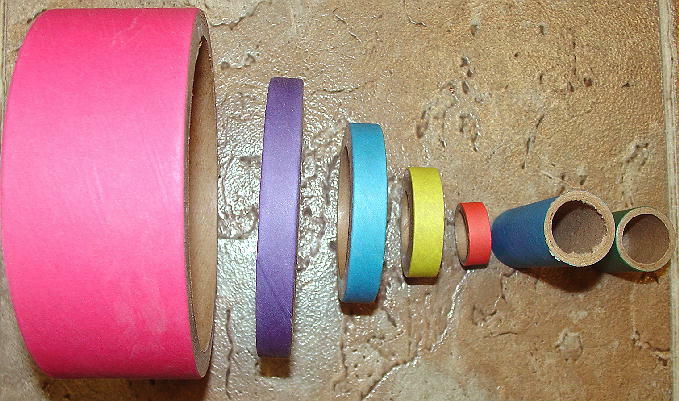 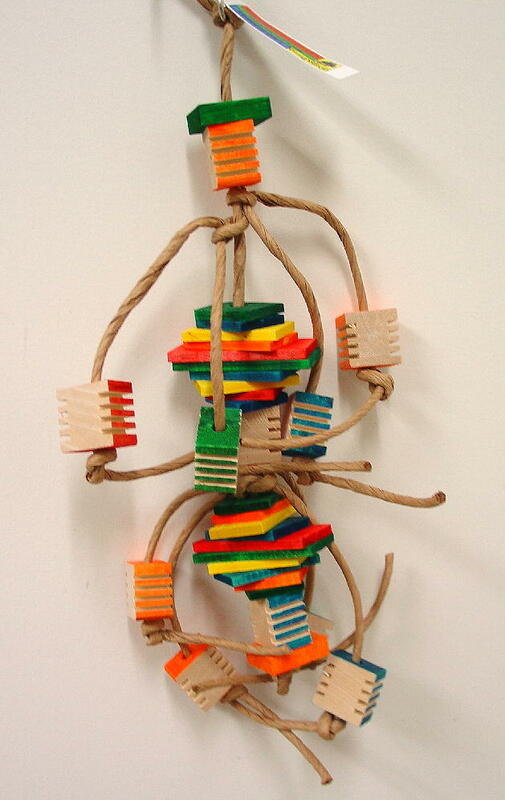 Dimensions: 15"H x 5"W in overall size. 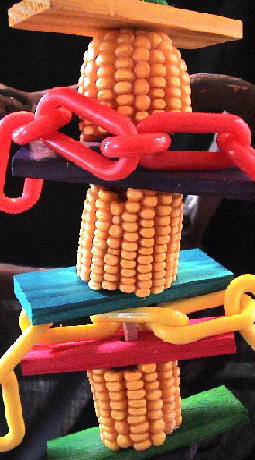 It is made with 3 - 1 3/4"x1 3/4" dried corn cobs, 5 - 4"x1 3/8" colored wood slats, 2 - hardwood shapes, 2 - 10" sections of 2" plastc chains, and 1/4" heavy vegetable tanned leather! 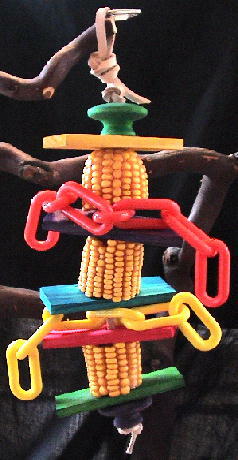 The Corn Stack is a great toy for medium to large sized birds! 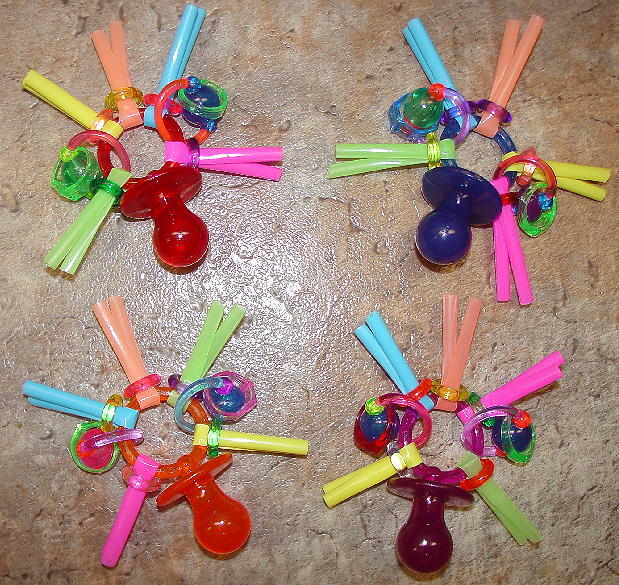 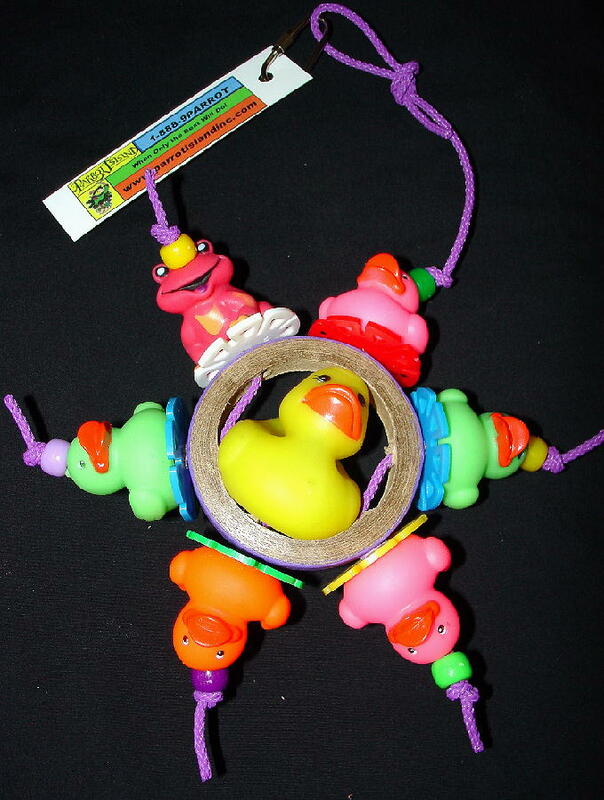 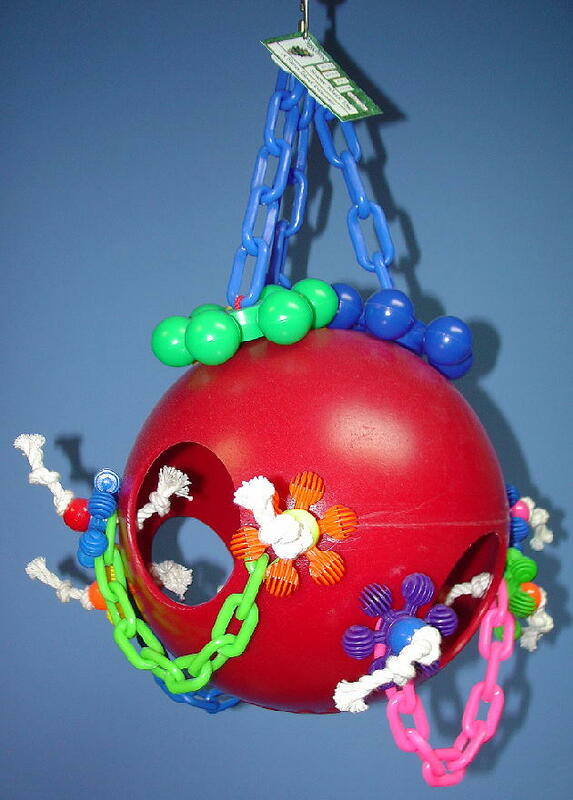 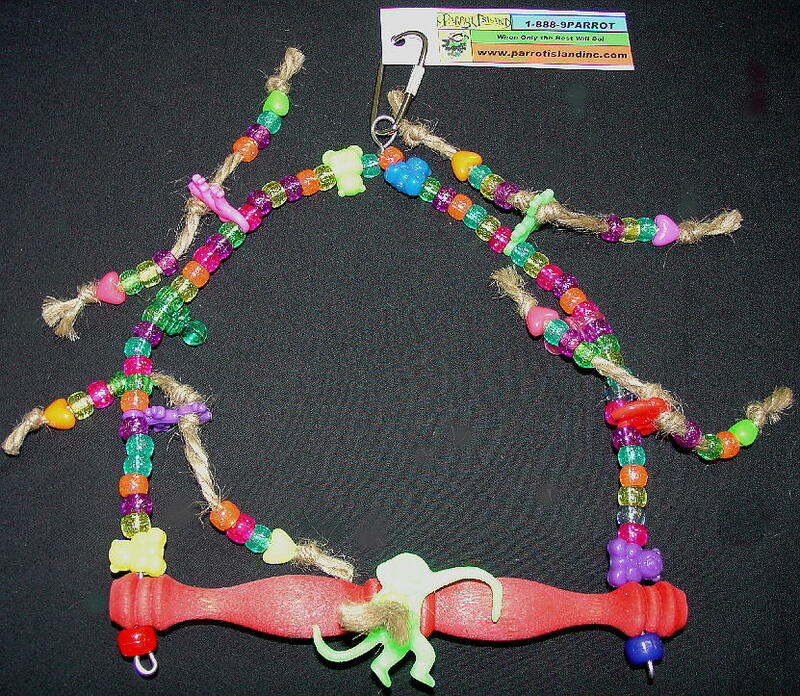 All birds to love the dried corn, plastic chain and soft wood slats that make up this toy! 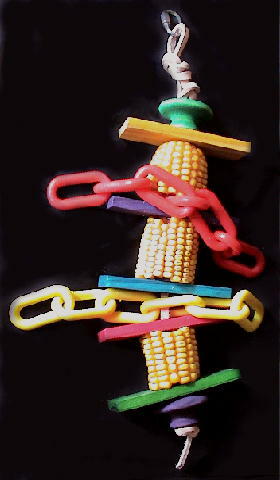 We recommend the Corn Stack Toy for Caiques, Pionus, Conures, Senegals as well as Amazons, African Greys, Eclectus and similarly sized birds.